Some of the world’s largest companies trust Dan to litigate complex commercial cases on their behalf in federal and state courts. Dan has handled numerous matters in trial courts throughout the United States, the U.S. Courts of Appeal, and the United States Supreme Court. Dan has a knack for boiling complex cases down to their essence. 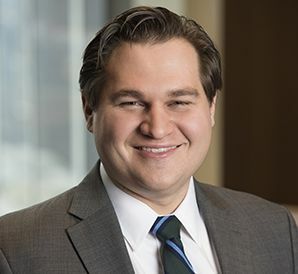 He has prosecuted and defended claims involving breach of contract, negligence, fraud, civil conspiracy, motor vehicle franchise statutes, price discrimination, state and federal securities laws, and trademark and trade dress infringement (among other things). Dan also has significant experience grappling with, and untangling, complex statutory and regulatory regimes. The depth and breadth of Dan’s experience pay dividends when the facts are thorny, the legal regime unclear, or both. Although he spent his hard-charging youth in Chicago’s South Loop and Lakeview neighborhoods, Dan now lives in the western suburbs of Chicago with his wife, daughter, and a rapidly mellowing Labrador named Lucy.